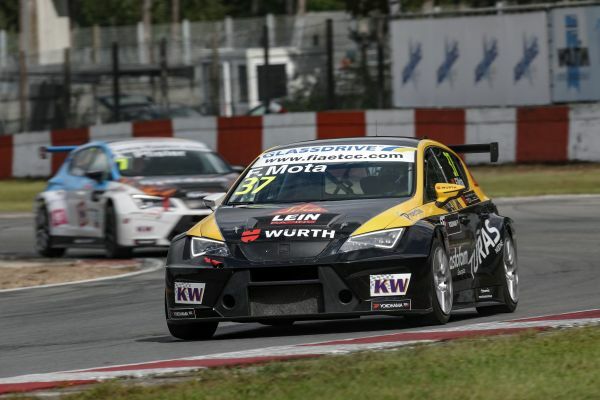 Norbert Nagy will start ETCC Race of Zolder in first place after claiming his second consecutive pole position of the FIA European Touring Car Cup season, edging out Igor Stefanovski by 0.342s. Fábio Mota made it an all-SEAT top three but there was frustration for title leader Petr Fulín who was stranded in the pits with a technical issue and failed to set a time. With Nagy and Stefanovski level on scores prior to the event, Nagy’s capture of three qualifying points puts him into second place in the provisional standings. 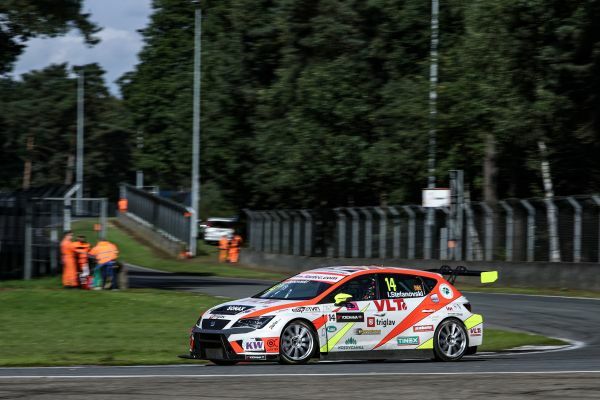 "I still can't believe it now," said an emotional Nagy, who has a new car for the Zolder weekend following his crash in the last round in Vila Real. “When we arrived here I didn't have the car put together, there was only the chassis and that's it. But because of all that, I felt no pressure, also because I missed a lot of yesterday's testing. I just tried to enjoy my time, enjoy the driving and that proved more easy as a result." Despite losing out on pole, Macedonian national hero Stefanovski was still happy with this result: "My mechanics did a great job with the car and I'm happy with second position. But tomorrow is the race and it will be difficult because everyone is so close." Third-placed Mota added: "It's important to mention that I went into the slipstream of Stefanovski on my fastest lap," said the LEIN Racing driver. "I'm happy for the third position but I think we need to work a little bit more because the pace is not there yet." A dry track, sunny skies and ambient temperatures of 15 degrees centigrade contrasted favourably to the rain and colder temperatures of Friday. 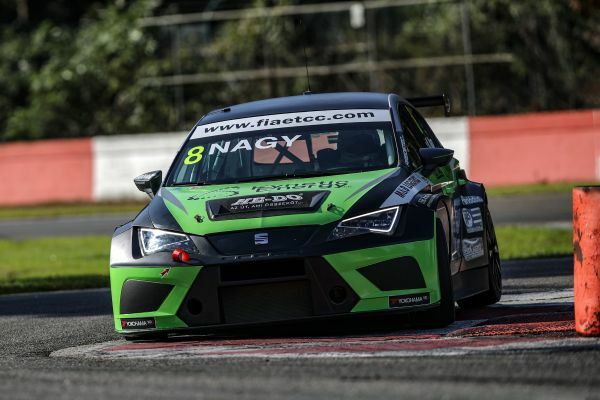 Nagy wasted little time in staking his claim for pole with an early rapid lap in his Zengő Motorsport entry, only for Stefanovski to outpace him by 0.009s. And it would get worse for Nagy when Peter Rikli and Honda-driving team-mate Christjohannes Schreiber dropped him further down the order. However, it didn't take long for Nagy to regain second, 0.091s adrift of Stefanovski. Nagy then out-paced Stefanovski by a tenth with Schreiber third, 0.400s behind the Hungarian. With half the session gone, Stefanovski climbed back on top, posting a 1m39.920s best. Křenek Motorsport driver Petr Fulín was the only one who failed to leave the pits, with his mechanics working hard to solve a technical issue on his SEAT. Unfortunately, it proved to be a terminal gearbox electronic glitch for the Czech driver, who was unable to set a time but has been granted permission to line-up on the back of the grid for Sunday’s first race. "I hoped until the last moment that we can get the car going, but an unfortunate sudden problem with the gearbox and electronics forced us to miss the qualifying altogether. I hope we can start the races tomorrow," said Fulín afterwards. With eight minutes remaining Nagy posted an impressive 1m39.222s lap, which put him on provisional pole, 0.698s ahead of Stefanovski. A flurry of activity in the closing stages of the session resulted in an improvement from Stefanovski, but it was still three-tenths shy of Nagy’s best as Mota benefited from a Stefanovski slipstream to demote Schreiber for third. Although he missed out on a qualifying top-three, Schreiber will start Sunday’s opening race in the knowledge that he’s ahead of title rival Fulín on the grid. Elsewhere, Plamen Kralev was fifth quickest in his Audi RS3 LMS, followed by Rikli, Andreas Pfister, Rudolf Pesovic and Anett György. 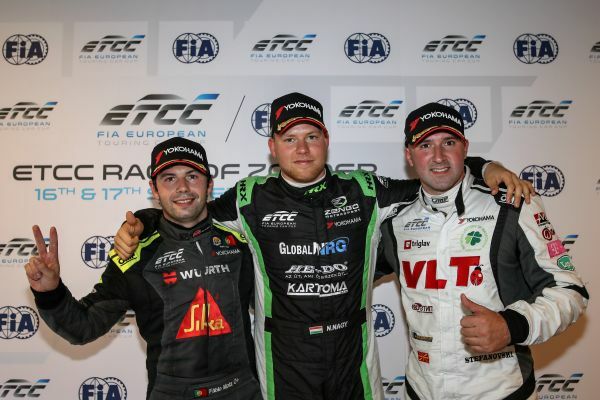 With Fulín, Nagy, Schreiber and Stefanovski all in contention for 2017 ETCC glory, the pressure is very much on for Sunday’s races. They will be held over 13 laps with Race 1 scheduled for 13h00 local time and Race 2 from 14h10. They will be shown live on Eurosport Player and at FIAETCC.com with highlights on Eurosport 2 and RTBF in Belgium on Sunday evening.